The Latin Bible, as well as the Latin of the text above, often uses ‘Qui’ to mean ‘Who’ OR as a pronoun meaning ‘He’. But a person with little experience translating Latin will tend to always translate ‘qui’ and ‘who’. This is not so much a question of literalness as of understanding what the Latin actually means, and translating it into English in a way that faithfully expresses the Latin meaning in the English language. It is inconsistent for the Holy See to insist on an overly literal translation of the Mass text, while permitting the Bible to be translated very loosely, as is the case with the New American Bible Revised Edition (NABRE). In the Bible (e.g. the Challoner translation, and my translation), a Latin pronoun such as ‘who’ (qui) is often translated as ‘he’ or as ‘and he’ in order to make the text flow more easily in English. This type of addition of a word (one that does not change the meaning of the text) is common in all Bible translations. Some translations put these added words in italics. Also, in the Bible it is an oft-used translation technique to take an overly long sentence and break it into smaller sentences. This is commonly done even in literal translations. There is no reason why the Mass text has to be translated more literally than the Bible. So we are transitioning from a Mass translation that is too loose, to one that is too literal. The benefits and detriments of such a change perhaps nullify one another. 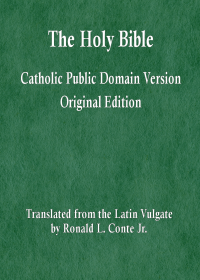 It is an improvement to have a translation that is closer to the Roman (Latin) Missal; this unifies all the Masses throughout the world and prevents undue experimentation with the Holy Mass. But it is a detriment in that the language is now too literal, and is less accessible to the average person in the pews. It is more difficult to understand the wording, especially when long run-on sentences are used (which are common in Latin, but awkward in English). All of the time and effort to change the Mass wording, and to educate the faithful about the changes, and to seek acceptance for this new wording — which is really, on the whole, no better than the old wording — is a waste. We are straining out gnats (picking at small problems), while swallowing camels (leaving large problems unaddressed). These considerations about the exact wording of the Mass are small issues, even if better choices had been made for the wording. Meanwhile, grave problems with the Mass are entirely ignored. A patient came into an emergency room by ambulance, with injuries due to a car accident. The ER physician wanted to make certain that he did an excellent job suturing the laceration on the fact of the patient, because any scar would be very visible. He covered the area around the wound with cloths, including the patient’s face. He took great care in treating the wound, and spent much more time than usual. He succeeded in minimizing the visibility of the scar on the patient’s forehead. But when he removed the cloths around the wound, he could now see the patient’s face, and the patient had died. He overlooked grave internal injuries, that were not immediately visible, in order to treat a superficial but very noticeable wound. 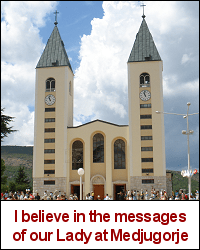 In fact, most persons who attend Mass do not consider the Church to be their Teacher. Their beliefs are from sinful secular society and from their own opinions, with little or no weight given to what the Magisterium teaches. It may well be the case that a majority of persons attending Mass are unrepentant from objective mortal sins. And it is well-known that the vast majority of persons who regularly attend Mass do not go to Confession at all. It may well be the case that a majority of persons attending Mass are in a state of material heresy. Some are in a state of formal heresy and have been automatically excommunicated, but they do not seem to notice. Some are unrepentant from the sin of getting an abortion, or of helping another person to get an abortion. Some have voted with the intention of keeping abortion legal. Many have used abortifacient contraception, or have cooperated with their spouse’s use of the same, without repentance, for many years. And yet most of these persons continue to receive holy Communion. And most priests, when they preach a sermon during Mass, do not even begin to address these many grave unrepentant sins. The difference in weight or size, as it were, between the wording used at Mass and these other grave problems, is a much greater disparity than between a gnat and a camel. Gallery | This entry was posted in heresies, Mass. Bookmark the permalink.